The Pickering attenuation project was conceived following flooding and loss in 2007. Site-works are due to commence in 2013. The complementary approach outlined below is indicative of public interest to (respectfully) promote, potentially augment, and thereby extend attenuation solutions to other catchments. 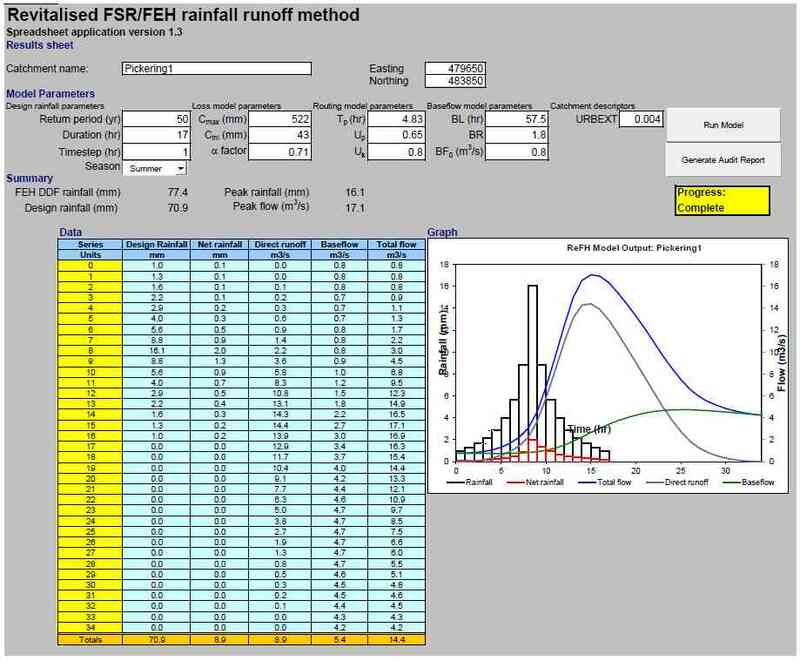 The combined hydraulic effect of 40 ‘non-impounding’ buffer strips (in effect flow ‘speed-bumps’ – each no higher than 400mm but surmounted by wide dense porous stiff vegetation) is to be tested by synthetic Q40-Q80 events and analysed in two indicative 2D models. (See sketch and gallery). The floodplain immediately upstream of urban (Pickering) value at risk is approximately 1km2. The beck falls 40m in 10km. Attenuation ridges (effectively land-use flow-controls spaced at approx 250m) grown in software between Pickering and Levisham station, could yield an increase in green temporary storage iro 500,000 m3 and diffuse (ie lower) the downstream peaks of extreme events. End – only tiresome invasive ads below ! !